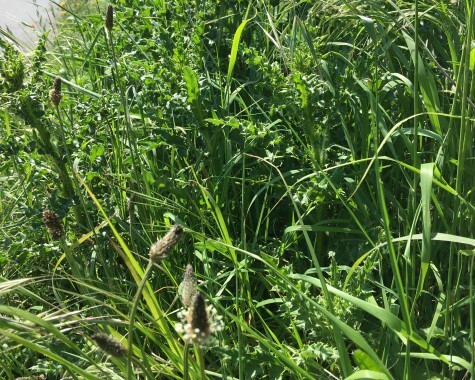 Grass verges in urban areas of Uckfield will be cut more frequently next year. The town council has agreed to pay for cutting to return to six times a year. It means the town will have to find £6,000 from its 2019/2020 budget with the money coming from council taxpayers, unless it decides to draw on money it already holds in the bank (reserves). Councillors made the decision last night (October 23) at a full meeting of the council. Up until this year, urban grass verges were cut six times a year by the county council, which paid for the work. As part of cutbacks, county hall announced it would reduce the frequency of urban grass cutting from six to times a year to two, unless local councils subsidised the extra costs. In some areas, parish/town councils opted to pay more but Uckfield turned down the chance. Uckfield town councillors last night considered two options put forward by East Sussex County council. For Uckfield Town Council to pay for four additional urban grass cuts to enhance the service provided by the county. This would cost the town council in the region of £6000 per year and provide a service of six cuts carried out by the county council’s contractors. An alternative of the county council paying £3,000 to the town so it could take over the service completely was not taken up. During a lengthy debate some councillors said the uncut grass on verges spoilt the look of the town, while others argued there was not a bottomless pit of money for the town to take over services given up by the county council. Was a partial solution possible; either having a frequency of between two cuts a season and six and/or only cutting key areas. Examples were given during a lengthy debate of residents cutting grass verges in their areas to help keep the neighbourhood looking good. If Uckfield paid for grass cutting to return to six cuts a year, what next would be handed down to them by the county council? Uckfield Town Council will have to put up its precept to pay for something that had previously been provided by the county council. As the debate drew to a close, Cllr Daniel Manvell proposed paying for the six cuts a year. He understood that some people liked the longer grass because of environmental concerns but said it seemed as if the majority of townspeople wanted the smarter look. The council decided its decision was just for next summer and would be reviewed in around a year’s time.